Operatives of the National Drug Law Enforcement Agency (NDLEA) at the Nnamdi Azikiwe International Airport (NAIA), Abuja, have arrested a 47-year-old textile dealer with 4.4kg of methamphetamine, bound for Cambodia. The suspect, Mr. Ifeka Charles Obi, according to a statement signed by Mr. Mitchell Ofoyeju, NDLEA spokesman, concealed the drug, estimated to have a street value of $1.4 million, in food items, adding that the seizure was the first made this year by the agency at the NAIA. Primary investigations by the NDLEA revealed that drug cartels are exploring new market and the drug costs $325, 000 per kilogram at its intended destination. Mr. Ofoyeju, however, assured that the agency had developed an adequate counter-strategy to the tricks of the cartels. 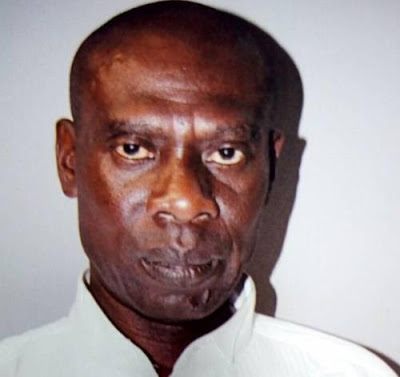 The suspect hails from Oba in Idemili South Local Government of Anambra State and was allegedly handed the drug in Lagos, but elected to travel through Abuja because the airport is perceived to have less stringent scrutiny. The suspect’s travel expenses were taken care of by his sponsors, who promised to pay him N1 million upon successful delivery of the drug. NDLEA Commander at the airport, Mr. Hamisu Lawan, said that the drug was detected during the outward screening of passengers on an Ethiopian Airlines flight. “"he 40 parcels of suspected whitish substance found on the suspect, Ifeka Charles Obi, 47 years old tested positive for methamphetamine with a total weight of 4.4kgs. The drug was hidden in foodstuff, but we were able to detect it and the suspect also apprehended," Mr. Lawan said. The suspect was said to have confessed to the crime, saying he was pushed into the illicit trade because his business collapsed. He further revealed that it was the first time he was engaging in such dastardly act. "This is my first time of smuggling drugs, and I agreed to do it so as to get money for my textile business. They promised to pay me N1 million with all-expenses paid trip to Cambodia. The drug was carefully hidden in foodstuffs. Still it was detected. I accept everything as my fate," he said. Chief Executive of the NDLEA, Colonel Muhammad Mustapha Abdallah (retd. ), expressed confidence in the agency's capacity to curtail drug peddlers and called on stakeholders to remain steadfast in their approach. He assured that more drug cartels would be dismantled in the course of the year.